This is the thing. I like cherries and... I enjoy a good drink -I guess to forget how the current wife gives me the cold shoulder-. Most of the time I drink Tequila but sometimes I will prepare some sort of cocktail (nothing with fruit juices ... pleeeaaassseee!) and when I add the nice looking cherry...it just tastes like, well... candy. It is candy though. The contemporary and industrialized idea of what one should consider a Maraschino Cherry. The original maraschino cherries were quite small, super-sour wild Marasca cherries from the eastern shores of the Adriatic. These cherries were pickled in sea water and preserved in maraschino, a local cordial made from the same fruit and other herbs. In the 19th century, maraschino cherries were such a rich person's delicacy that The United States' Food and Drug Administration started protecting the real Maraschino Cherries in 1914, requiring all pretenders to employ the word "imitation" on labels for the ones not actually made the proper way with the proper ingredients. During Prohibition, Americans had to improvise on the maraschino cherry and lose the booze. The neon-red thingies that we Americans equate with hot-fudge sundaes and kiddie cocktails are domestic cherries (usually Queen Anne) dyed and packed in almond-flavored sugar syrup. By the 1940s, the Day-Glo variety had infiltrated the American palate to the point that the FDA actually changed its definition of a maraschino cherry to include this humiliated, flavorless imitation of a treat. But, being a man that I am and such a traditionalist, I decided to do my own. I researched and researched and... once I had four or five recipes that made sense I created my own. The end result is a fantastic taste Maraschino cherry but, the price I paid is that my cherries are not red-super red-mega red cherries that one gets in any bar...but I rather go for the flavor than for looks. I just can taste these in any real cocktail and... why not... with vanilla ice cream as an afternoon dessert. 1. Pitt the sour cherries after washing them. I pitt them sideways as I like to keep the stem. 2. In a medium size pot put the cherries, the Luxardo and the sugar and bring it to a quick boil. Remove immediately from the heat and put them into a medium size metal bowl. 3. Allow the mix to cool and then cover it with plastic wrap. Put in the fridge for 24 hours. 4. After the 24 hours, mix the cherries with the juice (Luxardo now in a kind of syrup). By now the cherries look a bit pale; it’s OK (unless you want them bright and red in which case go to the store and buy some). Cover and put back in the fridge for another 24 hors. 5. Repeat the last stem and put back in the fridge. The juice will look redder and the cherries paler. It’s OK. By now you can try a cherry … it should taste fantastic and quite alcohol charged. Not a kiddie stuff. 6. 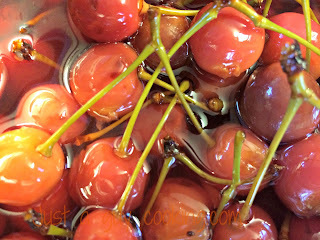 On the 4th day, mix again the juice with the cherries and jar them (I jar them in small jars as I can use them for cocktails without risking unnecessary spoilage. In a jar they last quite a bit (couple of years!) but once opened… about a month in the fridge. 7. Enjoy!…with any cocktail or with grown-up desserts. Unless you want your child to learn the intricate world of alcoholic beverages… give him/her the store bought ones…. If you haven't visited Mexico most likely you have never heard of Peneques. A peneque is a corn tortilla, stuffed with cheese, egg battered, fried and served with a more liquid tomato sauce. 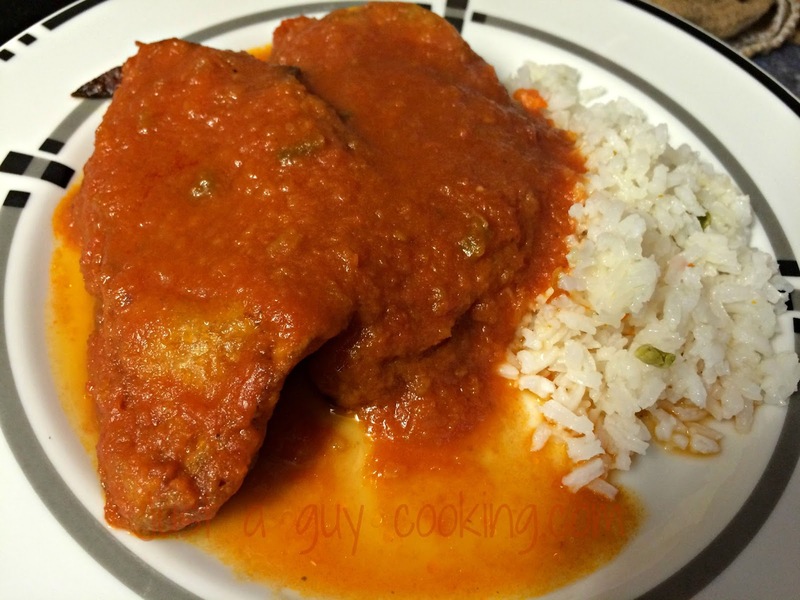 This dish brings tasty childhood memories. My mother being Argentinian of Italian descent loved cooking. Even though she always was trying to loose weight (actually she never needed it... as she was never fat...well...not as Jabba the Hutt). I lived in a house that always had some sort of home baked goods and where on Sundays pasta was the main attraction. Also I have to say, my mother fell in love with Mexican food (who doesn't, I mean, besides Donald Trump) and she cooked all sorts of Mexican food, most of the time with great results. I was not a great eater. I remember clearly being left at the table, with my dinner in front of me, while my brother and my mother were doing something else. I was left at the table for hours and hours with a cold platter in front of me... and my mother would come back every so often just to find out that the plate was untouched. 9 out of 10 times I won. She used to give me the old... do you know that there are thousand of kids starving and you are wasting this food speech. All I wanted was to leave the table. Unfortunately the idea of the starving kids never touched my soul... to me I won 9 of 10 times. Now... some dishes were my favorites and usually those I would eat right away. 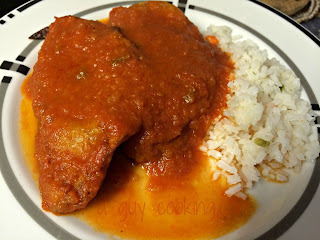 Peneques was one of those fantastic dishes, so today I'm sharing with you the recipe. It is worth to say that back then there used to be what we knew as 'tortilleras" or "señora de las tortillas" who also sold the peneque shaped corn tortillas. With globalization they have disappeared and most young Mexican don't even know what a peneque is. I guess that the big supermarket buyers, working in I don't know were, don't get what a peneque is therefore is not a product that they would sell nowadays. Shame!!! 1. First we are going to warm up the corn tortillas (do not use flour tortillas!!!). 2. While the tortillas are on the “comal” (you can use a pan to warm them up) we cut the cheese in the size to make a quesadilla (1/2 inch for the sides, 3 inch length, approx). 3. 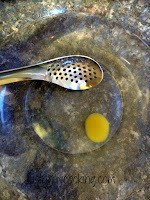 In a frying pan warm the oil to a frying temperature (high). Keep warm. 4. We are going to put the cheese in the middle of the tortilla and close it (as a quesadilla) BUT we are going to “close it” with two toothpicks, semi-closing it. Set aside (they will get cold, don’t worry). 5. In a medium bowl beat the egg whites until you get firm peaks (you can turn the bowl upside-down and it wont spill). 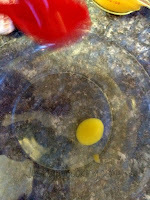 Once the egg whites are firm then we’ll add the egg yolk and beat again to incorporate. 6. Dip the “closed” quesadilla in the egg mix trying not to over cover it, then, carefully place the future peneque on the warm oil. 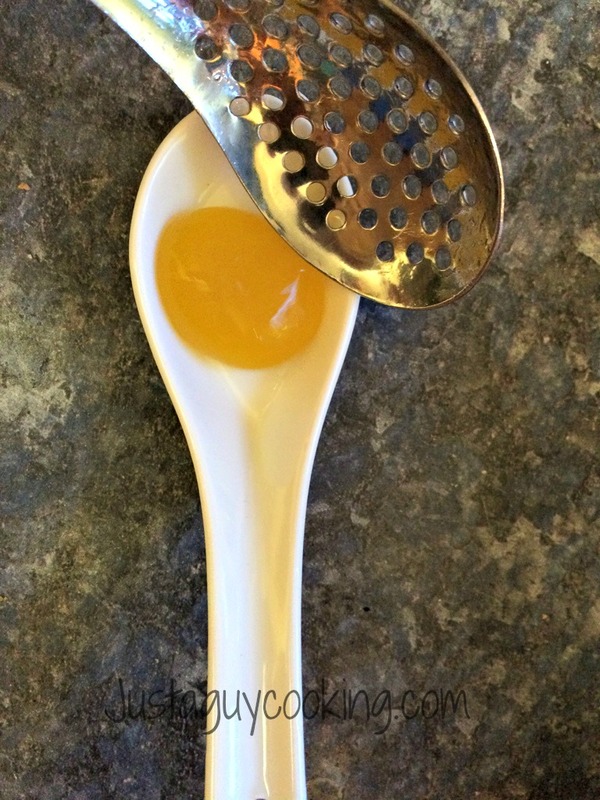 We want to turn it when one side is light-brown (we don’t want to burn the egg !). Once the two sides are ready, remove from the pan and place each piece on a paper towel to absorb the excess oil. Reserve the 6 peneques. 7. Now we’ll prepare the “caldillo” (a more liquid tomato sauce): in a medium pot, fry the onion until it gets a bit clear, add the stewed tomatoes and mix well. 8. Using your food processor, blend the onion/tomato mix until smooth. Return to the pot and lower the heat to simmer. Incorporate the seasoning (again, I use a Knorr beef cube) and mix well. Close the lid and let it simmer for 20 minutes. 9. After the 20 minutes we should have a nice and tasty tomato sauce. To make it more liquid (“caldillo”) we add the beef stock and mix well. Cover and allow it to simmer for another 10 minutes. 10. The final step: put the peneques on the sauce (carefully so they don’t break) and make sure that all are covered with the tomato sauce. Close the lid and simmer the whole thing for another 10 minutes or so. 11. I serve two peneques per person with some nice Mexican white rice and some sauce. They should be fantastic! 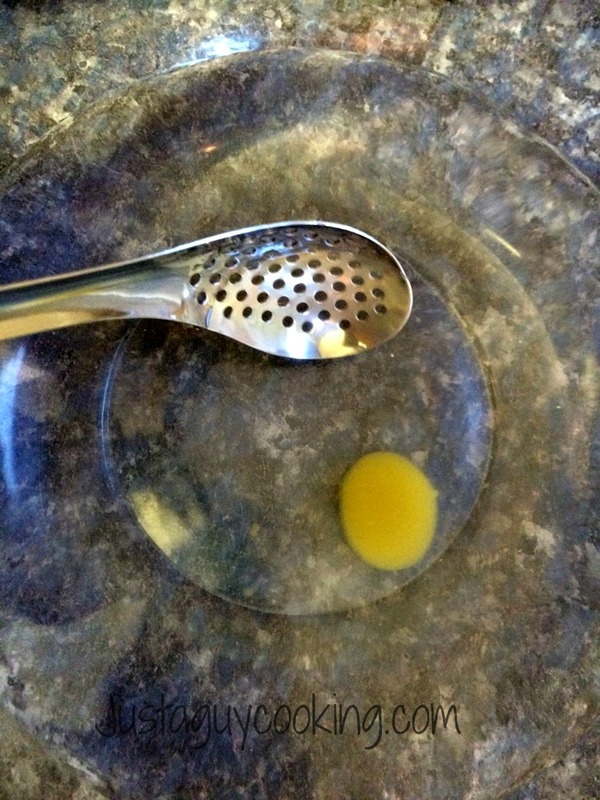 So, the Molecular Gastronomy learning process is happening. My second attempt was to do a mango cheese cake (it is mango season...) and accompany the cheese cake slice with a Mango Sphere. I used Jozef Youssef Molecular Gastronomy at Home book (a Firefly book) and the not always willing help of the current wife. As she thinks is a chemist, an engineer, a rocket scientist or the reincarnation of Einstein... I decided to invite her to participate in this new venture (also I have to admit...just in case of tremendous failure I can always blame her). 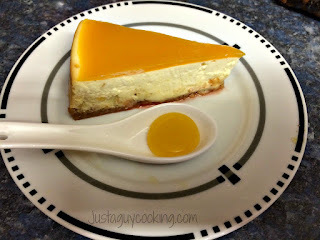 For the mango cheese cake I used my recipe (here) and instead of Grand Marnier I used the pulp of fresh Manila Mangoes. For the topping I used more mango pulp but with some unflavored gelatin. As you can see from the pictures it was a success. The mango cheesecake is a fantastic Summer dessert and the addition of the mango sphere is just gravy (literally). I called the dessert a success as our friend Betty not only ate it but actually she liked it -and she is hard to please when experimenting with flavors or textures-. It was a big risk but I could always blame the wife. 1. For the cheesecake just follow my cheesecake recipe substituting the Grand Marnier with the mango pulp which should be folded in at the very last step before putting in the oven. 2. 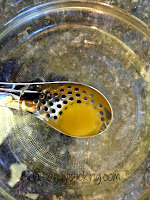 While the cheesecake bakes we'll prepare the toping: in a medium pan warm the water and incorporate the Knox gelatin until fully dissolved, then add the mango pulp and mix again. Allow it to "cook" for 10 minutes or so in a medium-low heat, then remove and allow it to cool at room temperature. 3. When the cheesecake is ready and cool, the mango gelatin should be ready... it is going to be dense though. If the cheesecake is not 100% cool pouring the gelatin will destroy the cake. Pour it slowly so it doesn't spill and allow it to sit, room temperature for at least 2 hours, then move the cake to the fridge. 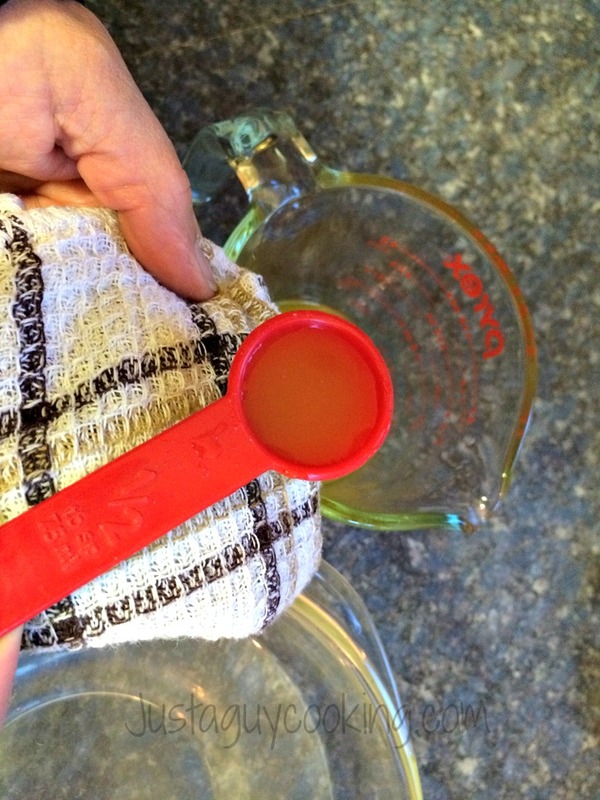 You will need four glass containers: one for the mango juice, one for the calcium lactate, one for the sodium alginate and one for the water bath. 1. Prepare the calcium bath by whisking the calcium lactate into the water in a large mixing bowl. Set aside. 2. 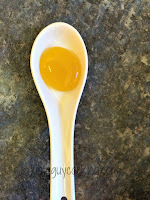 Using a blender (I use a hand held immersion blender) mix the sodium alginate with 1/2 of the mango juice. Mix for about 3 minutes so the sodium alginate is 100% dissolved. The less air bubbles the better. 3. 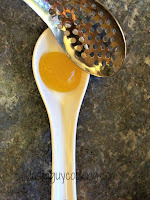 Add the other half of the mango juice to our sodium alginate mix and mix again with a whisk. some mango juice mixture and gently pour it into the calcium bath leaving the bubble to "cook" for about 1 minute (no more!!!!). 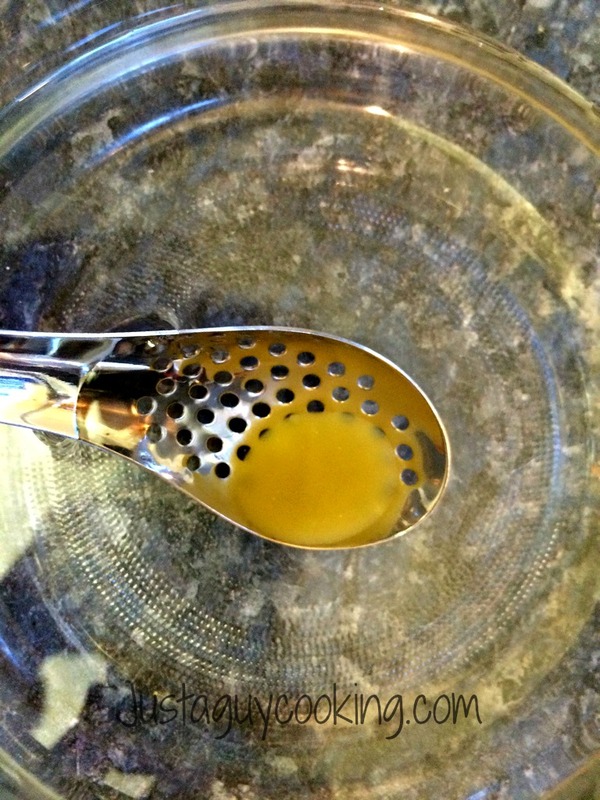 With your slotted spoon move the liquid around the bubble so it cooks evenly. 5. Using the same slotted spoon, remove the mango bubble and transfer it to a clean water bath and move it again with the spoon so the bubble gets "clean" of any excess calcium. 6. Remove from the water and use immediately. I used this time a Japanese spoon (it must have a name but I just don't know it).